Phoenixville has a history of producing award-winning marching bands, but little exposure to string ensembles. In spite of having directed bands for much of his career, Amici conductor Stuard Young calls string groups his “greatest musical love.” Bassist Joe Klapper explains how string ensembles differ from traditional school bands: “Strings offer a more contemplative and delicate world in which to express our human diversity.” Klapper was hired to start the district’s string program in 2013, the same year St. Peter’s Music Series began. The church hopes to bring people together in the appreciation of music and experience of community. 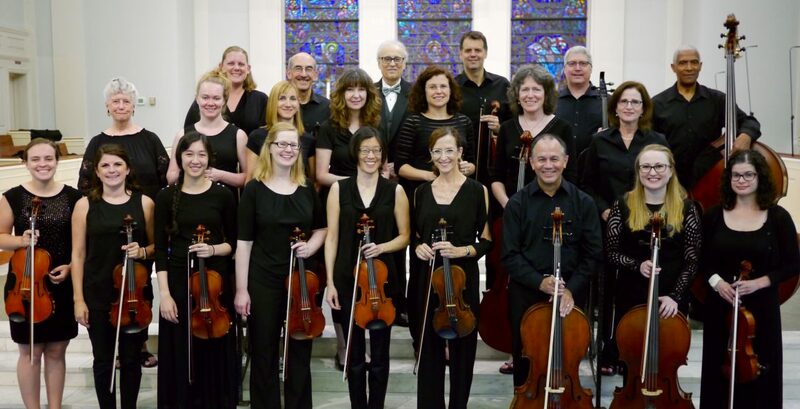 “We wanted to offer high quality music to people who might not otherwise attend a concert,” says Karen Martz, a choral singer who works with the church to organize the series. Children are welcome at all St. Peter’s musical events. St. Peter’s is located at 121 Church Street in Phoenixville and is currently celebrating its 175th anniversary. Its vision is to be an inclusive, vibrant Christian community honoring its Episcopal heritage by achieving excellence in worship, mission, education and fellowship. More information about St. Peter’s can be found at saintpeterschurch.net.